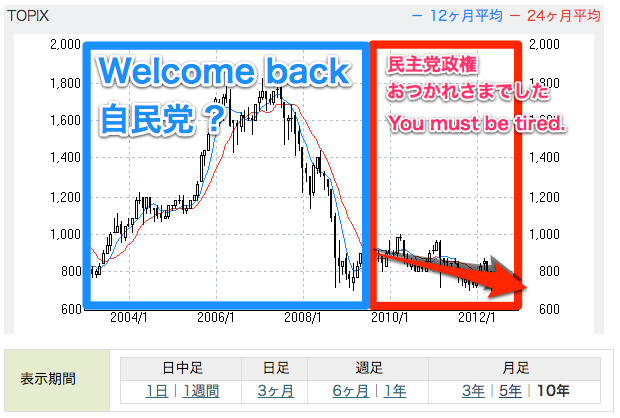 Looking back taking back Japanese ministerial party by TOPIX - It works! The Liberal Democratic Party turned back to Japanese ministerial party AGAIN. 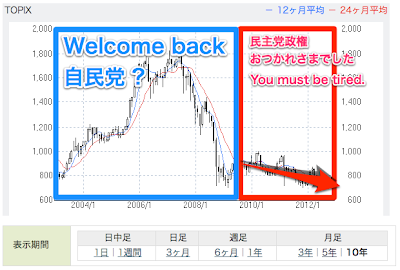 Then let's take a look back by TOPIX (Tokyo Stock Price Index).